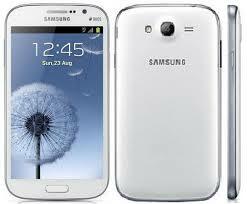 Samsung Galaxy Grand GT-I9082, the outstanding 5 inch device with the Galaxy S3 look was released a few months ago by Samsung. Keeping the phablet idea Galaxy Grand has quite interesting specifications being one of Samsung’s top devices. Did you get the new Note 3? Here’s how you can root Samsung Galaxy Note 3. Rooting a device gives you access to root files and gives you permission to do things you can’t normally do with your device. It’s also a little bit dangerous if you don’t know what you are doing and it will void your warranty. This rooting procedure that we will describe uses a CWM Odin flashable file. You can also backup you entire ROM with CWM so that in case something goes wrong you can restore everything back to normal. Install Samsung Galaxy Grand ADB drivers so that your computer recognizes your device. Download CWM Recovery image from here. Download Odin 3.04 from here. Now you have to turn off your phone and enter Download Mode. To enter Download mode on Samsung Galaxy Grand you have to press Volume Down + Power + Home button. Release after a few seconds and then press Volume Up to confirm entering in Download Mode. Once you are in Download Mode you have to connect your device to the PC using the USB cable. Make sure you have closed Samsung Kies if it was running in the background. Open Odin 3.04 that you downloaded earlier. Look in Odin and make sure you have checked only the “Auto-Reboot” and “F.Reset Time” options. You should have to COM: lit up, this means that ODIN recognizes your device. Extract the content from the CWM Recovery, CWM-touch_i9082_chotu.tar.zip file. In Odin click on PDA and select the file that you extracted from the previous step. You now have to click on START and CWM will start installing on your Galaxy Grand. When the installation is finished you should have CWM Recovery installed on your Galaxy Grand. Note: If you get a hash value failed error in Odin, rename the CWM-touch_i9082_chotu.tar.md5 file without the .md5 termination. First you need to download Fix Recovery from here. Now download the latest Super Su from here. Copy the two filed on your external SD card. Turn off your phone and enter Recovery Mode. To enter Recovery Mode on Samsung Galaxy Grand you have to press Volume Up + Power + Home button. In recovery mode go to “install zip from sd card” and then on “choose zip from sd card”. Select the Fix Recovery file you downloaded at step 1. Wait for the installation to finish and then do this again for the Super Su file downloaded at step 2. If you want to unroot your device, download the unroot zip file from here and then flash this the same as you did when you rooted your device. This is it. You now have CWM recovery installed on your Samsung Galaxy Grand, and you also rooted it. To return to your stock ROM you can use the recovery option from CWM Recovery, so remember to make a backup first.